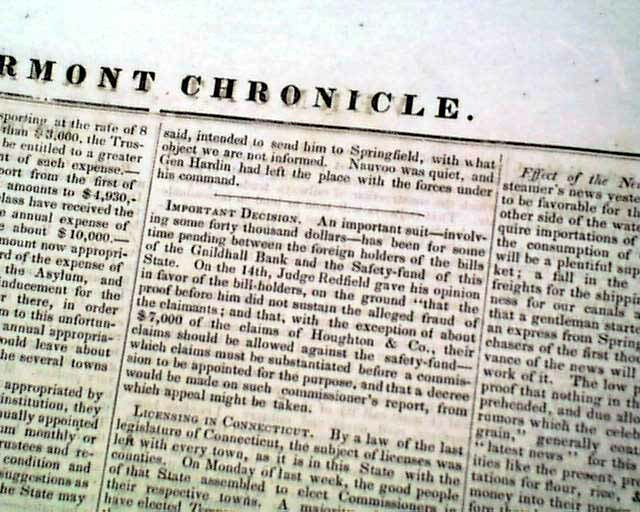 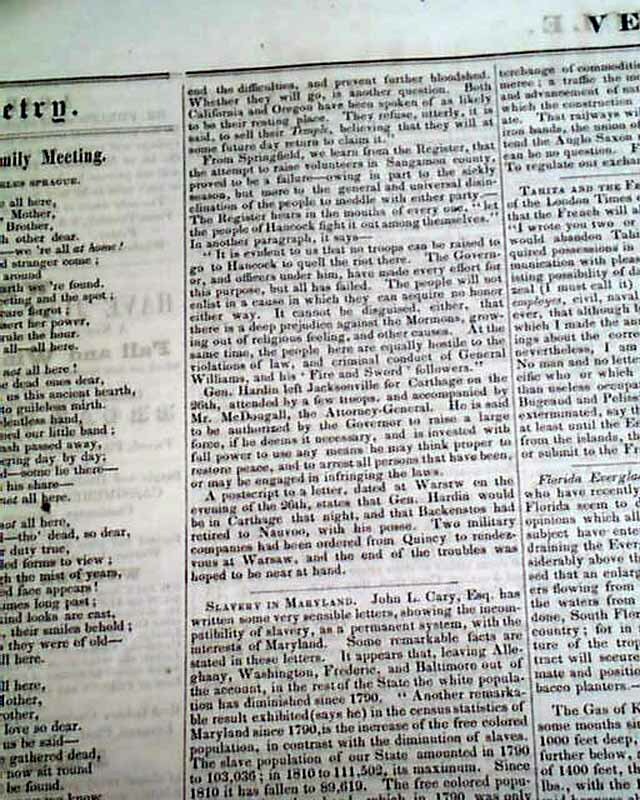 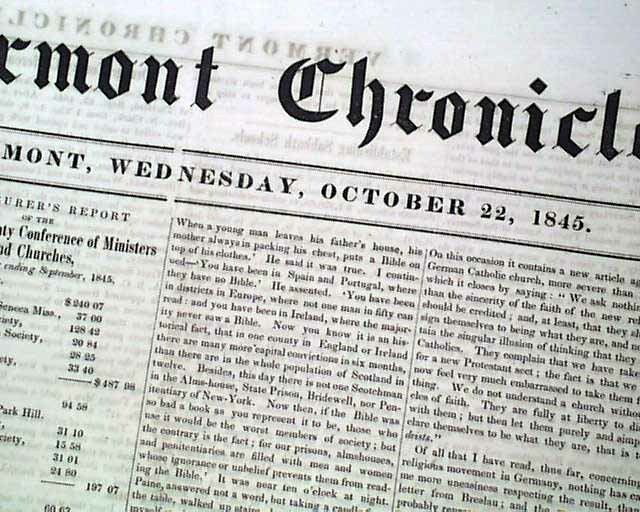 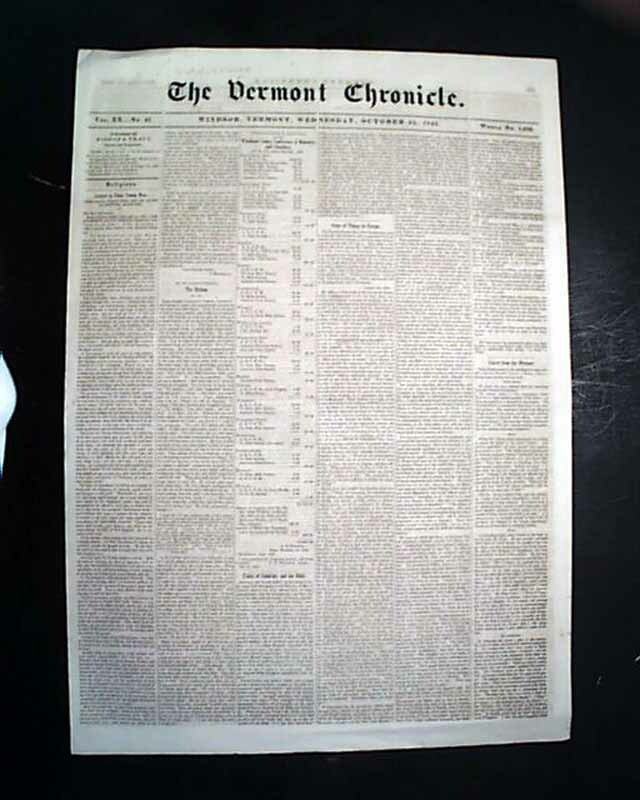 THE VERMONT CHRONICLE, Windsor, Oct. 22, 1845 Page 3 has an article beginning: "The Mormon war has probably ended for the present. 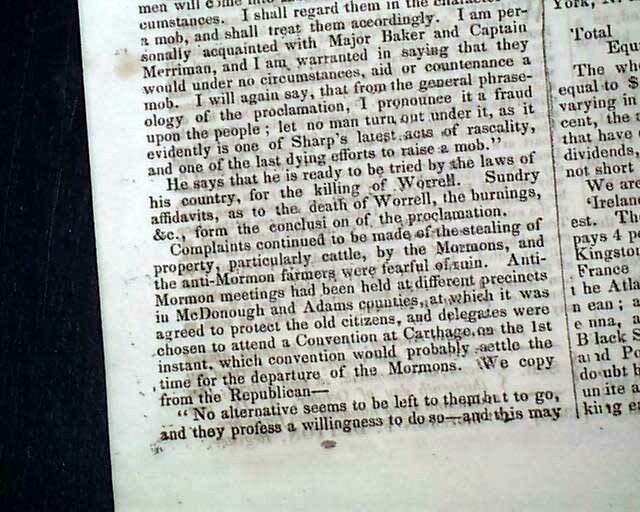 The Convention at Carthage...unanimously determined that the Mormons could not & should not remain longer than till next spring...". 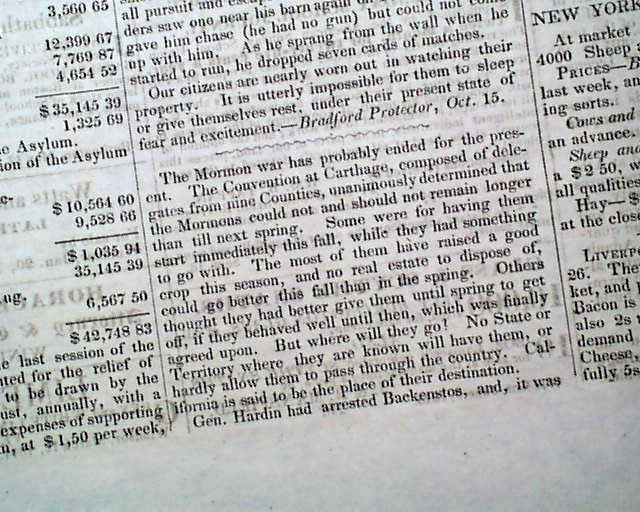 The back pg. 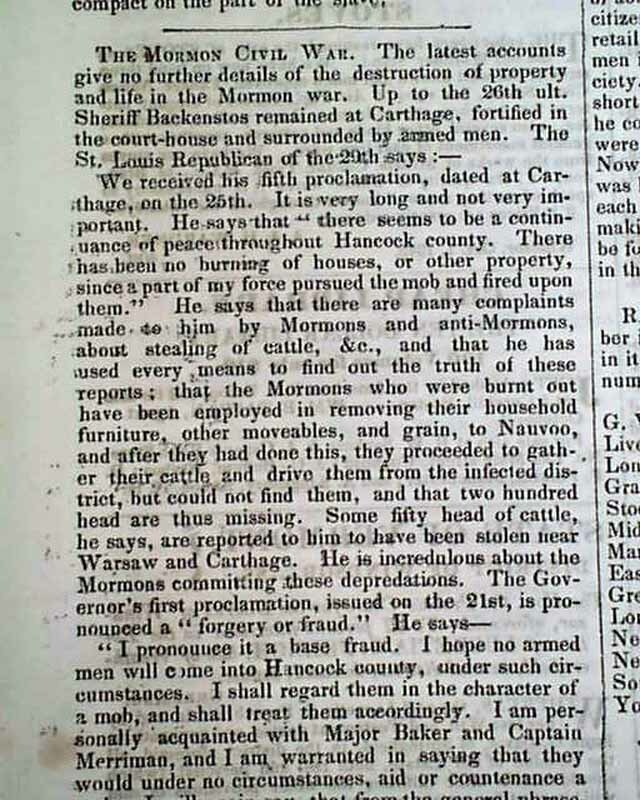 has: "Slavery in Maryland" and: "The Mormon Civil War".